The European Union in its efforts towards making its member countries International student friendly has come in with this uniform regulation pertaining to part-time jobs and stay back for Non EU students and researchers. If one thought these developments would take years to materialize think twice. A visa directive brought out this month mandates all EU member states within 2 years to allow non-EU students and researchers to work for a minimum of 15 hours a week while studying and to allow stay back period of nine months post-graduation to look for work or start their own business this is music to the ears of thousands of students who are optimistic about carving out a future in the conducive environment of Europe. The good news doesn’t end here; students pursuing research programs in EU countries would be allowed to bring in their family members who also would have the right to work. This to a large extends takes the financial pressure off a student and would help family members earn to support the scholar during the course of his/her research stint. The directive also would do away with the tiresome process of obtaining visa to move from one EU country to another. This is a step that is being welcomed across the board as it will greatly benefit students who move to neighboring European countries for further studies or in search of better employment avenues. Decided on Europe as your study abroad destination? Look no further;Santa Monica Study Abroad Pvt.Ltd. your most trusted name in overseas education consultant is here to facilitate admissions of students seeking admission to leading European institutions. Our experienced and well informed experts provide unbiased and accurate information about courses in Europe that fit your budget. For more information, visit your nearest branch of Santa Monica Study Abroad or call us on 0484-4140999. This entry was posted in Uncategorized on May 24, 2016 by Ronnie Fredrick Thimothy. Becoming a doctor is a dream for many a young men and women, looking for a profession that is among the most respected, financially rewarding and attractive career choice in India. However the stark reality is that medical institutions in our country do not have the capacity to admit even 1/3rd of aspirants. The lucky ones, who manage to secure admissions often, complete their studies carrying huge financial debt. All this at a time when there is a huge shortage of doctors in India, which according to the Parliamentary Standing Committee report on the Medical Council of India clearly states that perhaps there is only one doctor available for 2000 patients. http://www.ima-india.org/ima/left-side-bar.php?scid=492, an alarming figure when the WHO mandated ratio is 1:1000. The mammoth shortfall of doctors is not limited to India. If one takes the WHO figure; the shortfall of doctors throughout the world is huge. Countries like United States, UK, and Australia also face a huge shortage which would reach alarming proportion by 2020. Given the tougher entrance requirements and subsequent cost factor involved, a growing number of medical aspirants are exploring options of studying Medicine abroad. 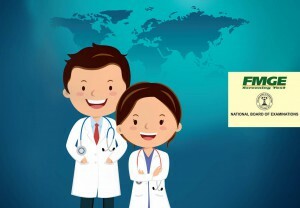 Though USA, UK, Canada, Australia, New Zealand etc remain the first choice of students and parent seeking world class medical studies abroad , one should be realistic that it can be extremely challenging in term of time, fees and intellectual effort though the reward for the same is a flourishing medical career. Moreover to get admission in institutions of these countries, students have to undertake the Admission Tests. The UK Clinical Aptitude Test (UKCAT) or the Biomedical Admissions Test (BMAT), Graduate Australian Medical School Admission Test (GAMSAT) or MCAT (North American Medical College Admission Test and so on. What makes Medicine studies abroad attractive? There are many medical institutions that cater to international students however, the onus lies on the students to identify the genuine institutions thorough fair bit of research and by seeking reference of earlier pass outs. It is always advisable to seek guidance of credible overseas education facilitators with strong experience in the domain. Santa Monica overseas medicine studies division, the most trusted name in overseas education is here to facilitate admissions to students seeking admission to leading medical universities in developed medical systems such as USA, Canada, Australia, New Zealand, UK, Europe and South East Asia at affordable cost. Our experienced and well informed medicine education experts provide unbiased and accurate information about medical education that fit your budget.For more information visit your nearest branch of Santa Monica Study Abroad or call us on 0484-4140999. This entry was posted in Medicine studies Abroad on May 21, 2016 by Ronnie Fredrick Thimothy. If world class education, international exposure, excellent opportunities for further studies and employment is what made you explore the option of studying abroad, then Canada must be your natural choice. Let us explore why? Canadian universities have set highest bench marks in offering education of highest quality with excellent research opportunities in fields such as telecommunications, medicine, agriculture, computer technology and environmental sciences etc to mention a few, hence it is no surprise that Canadian Universities consistently rank high in world University Rankings . If one believes, all this comes at a premium, one is in for a big surprise as tuition fees at Canadian institutions are lower than many developed countries like USA, UK etc along with relatively low cost of living, gaining a Canadian qualification is no uphill task. If paucity of funds is stopping you from realizing your dream of studying in Canada, scholarships are aplenty to ease your financial woes, provided you have excellent academic records. Canadian governments both provincial and federal along with institutions offers a range of scholarships for deserving international students. Owing to its strong economy and abundant natural resources to bank upon, Canada’s growth story in all possibility is likely to move unabated, creating great demand for skilled work force across all streams With excellent industry specific study programs, laying stress on practical aspects, getting a job is not going to be much of a problem for anyone who has completed his/her studies in Canada. No matter from which ever part of the world you are from ,one will feel at home as Canada offers a multicultural environment with people of all religions, races, ethnicity and backgrounds The campus itself would have students from different parts of the world offering a cosmopolitan environment to learn different cultures attitude etc which will, go a long way in molding one in to a global professional amidst all these cultural potpourri getting ethnic and traditional Indian foods would not be a problem at all as most Canadian institutions have associations and clubs of international students especially Indians, where all most all national festivals and days are celebrated with pomp and Glory. Decided on Canada for your overseas studies look no further. Santa Monica study Abroad Pvt. Ltd your trusted Overseas educational consultant cochin with over 15 years experience in facilitating admissions to Canadian institutions is here to help you pick that perfect Canadian University / colleges that suits your career goals. Feel free to visit your nearest office of Santa Monica Study Abroad Pvt. Ltd. or reach us on 0484-4140999. This entry was posted in Study in Canada on May 17, 2016 by Ronnie Fredrick Thimothy. It is one of the most favored shooting locations for Bollywood films, agreed. It’s a great cricketing nation, no big revelation. It’s famous for Kiwi fruit and milk products but there is more to New Zealand than mesmerizing locations and flora and fauna. New Zealand is one of the best destination to pursue your studies abroad Read on as we list some of the top reasons to study in New Zealand. New Zealand education is a rich blend of time tested traditional principles with innovation. New Zealand has a robust education system comprising of institutes of technologies, polytechnics, universities and private colleges, offering qualifications ranging from vocational certificates to doctoral degrees. New Zealand institutions ranks high in world education rankings and have been rated among the best in the world. Getting a New Zealand qualification is sure to set you up for a promising career. New Zealand has a well developed university system that is highly student-centered with institutions offering niche programs along with conventional disciplines like arts, science, Business law etc. Though all programs offered in New Zealand are top notch, Masters in Civil / Earth quake engineering, MBA program with 3 months internships, Dual diploma programs in quantity surveying & construction management are some of the hot programs one can pursue with internships. New Zealand is a traveler’s paradise with splendid locations to explore. From snow clad mountains to vast open plains and long stretch of green farmlands, New Zealand never fails to mesmerize. For the adventure freak in you, excellent opportunities are available to indulge in adrenaline gushing adventure activities like bungee jumping, skydiving, zip lining , caving, canoeing etc to mention a few. With a stable economy, jobs are to be had for International students on completion of their studies. There are high demand for Engineers, IT Professionals, accountants, chefs, financial advisers and marketing professionals. International students studying in New Zealand also have the opportunity to work while they study. Students may be permitted to work up to 20 hours each week during study periods or full time on the holidays, depending on their programs of study, which can help them gain valuable work experience that boost employment prospects. After graduation, one can look forward to working in New Zealand by applying for a post-study work visa or permanent residency. Compared to many other countries, gaining entry to New Zealand institutions is not a tedious job provided you have a well written Statement of Purpose and other supporting documents in place Students with average marks can also gain entry to most Bachelor degree programs as there are ample number of seats at each institutions spread across New Zealand. Unlike other countries students intending to study in New Zealand need not pay their tuition fees upfront. They only need to pay it once their visa is approved. Tuition fees in New Zealand institutions are the lowest among developed countries. Major universities and institutes in New Zealand offer highly subsidized hostel accommodation. Apart from university offered accommodations, various affordable accommodation options like paying guest facilities are available for international students which are highly safe. If food is a cause of concern for you there are many restaurants in New Zealand that serve food at decent rates. Even combo meals are offered keeping student community in mind. Also with a decent accommodation in place, many of the young international students are seen to cook their own meals which can bring down your living cost drastically. As an international student one is expected to rely heavily on Public transport which is moderately charged in New Zealand. Carrying your tertiary ID can get up to 40% off on all Travel which is quite encouraging if you in tend to explore this beautiful country. Made up your mind on Studying in New Zealand? look no further, Santa Monica study Abroad Pvt. Ltd, your trusted overseas educational consultant Cochin is a Education New Zealand recognized agency (ENZRA) with over 15 years experience in facilitating admissions to New Zealand institutions is here to help you pick that perfect New Zealand University / colleges that suits your career goals. Feel free to visit your nearest office of Santa Monica Study Abroad Pvt. Ltd.,Kochi or reach us on 0484-4140999. This entry was posted in Study in New Zealand on May 13, 2016 by Ronnie Fredrick Thimothy. Ever wondered why year after year hordes of young sharp brains from different nationalities flock to German universities for their higher studies, well with a history of offering world class education spanning across centuries the reasons are sure to be plentiful Let us have a look at few of them here. The quality of Germany higher education system is evident from its consistent top positions in world education rankings. The superior quality of education offered with industry centric courses and excellent scope for research with focus on practical’s; ensure that employers across the world rate these qualifications very highly. A vast majority of German universities and colleges on account of being financed by the state do not charge any tuition fees. Though there are plans at introducing tuition fees for International students with regard to affordability, Germany would still remain your best choice in Europe considering the quality aspect. The cost of living also remains considerably low with special discounts and students benefits or food, lodging transportation etc making Germany an affordable study abroad destination. With more than 300 higher education institutions across the country, offering over 10000 programs in diverse streams ranging from arts, science, Engineering, IT etc gives students endless options to choose the university and program of his liking. German educational institutions are known to nurture talent by offering various scholarships and financial support for the deserving students with merit being the sole criteria. So if you are a hard working student, exhibiting overall excellence in studies, finance can never come in your way of pursuing studies abroad. Germany is not all about studies it has lot to offer to those who have a penchant to explore its rich history and culture. There are number museums, particularly those that specialize in art and history that tells the story of Germany its history that includes the two world wars which changed the course of history In Germany one does not see history, in fact one lives. 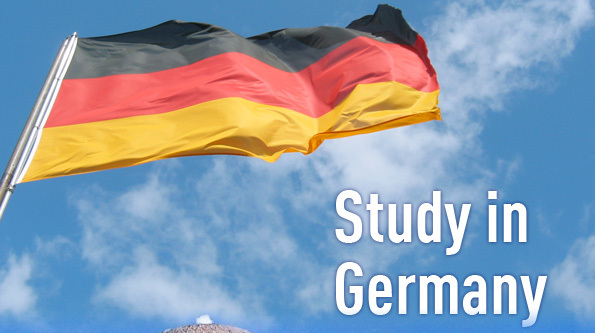 To study in Germany, one need to know German is nothing but an archaic notion. German Universities and colleges with the intention of catering to International students have ensured that most programs, where international students seek admission; the medium of instruction is English. positive news to students across the world who were deprived of Germany education due to the language barrier. Germany being a country with a strong economy with key sectors on an upward growth trajectory, offers excellent job opportunities to students post study. During studies an International students can work a total of 120 full or 240 half days per year which apart from helping one earn a tidy amount can help to gain valuable work, that would come handy in Securing a high paying job in Germany It is an highly encouraging fact that about 50 percent of international students who complete their studies finds job in Germany which means embarking to study in Germany will not only get you world class education but also can pay way for a secure career. Decided on studying in Germany but do not know where to start, leave it to Santa Monica study Abroad Pvt. Ltd your trusted Overseas educational consultant Cochin with over 15 years experience in facilitating admissions to Germany institutions is here to help you pick that perfect Germany University / colleges that suits your career goals. Feel free to visit your nearest office of Santa Monica Study Abroad Pvt. Ltd.,Kochi or reach us on 0484-4140999. This entry was posted in Study in Germany on May 6, 2016 by Ronnie Fredrick Thimothy. Looking to Study in the UK ? London South Bank university comes as a natural choice as it is one of London’s largest and oldest universities offering vocationally-relevant, accredited and professionally recognized education since 1892 with over 18,000 students drawn from over 130 countries. The university is located close to some of London’s most famous landmarks such as Big Ben, Piccadilly Circus and Buckingham Palace, among others. So what make London South Bank University figure on top of many an international student’s study abroad wish list? Here are the answers. 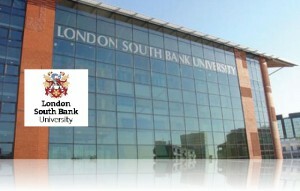 London South Bank University has received the highest possible rating for the quality of education its academic staffs delivers and the impressive range of professional expertise they offer. The universities innovative curriculum is extremely industry centric and ensures that on passing out the individual is job ready. Teaching at LSBU is highly practice oriented and many courses offer work experience opportunities. With strong employer links and numerous partnerships, all courses at London South Bank University are professionally accredited or developed in partnership with relevant professional bodies. London South Bank university offer a wide range of scholarships and discounts for international students including Nationality Scholarships, fee-discounts etc, the University has committed over £1m in financial support to help well-qualified students from outside the EU to meet their study costs. Whatever be the choice of course LSBU has the facilities to fully support it be it the state of the art skills laboratories, workshops, media centre, theatre, library or Learning Resources Centre all appropriate technologies and expert support are available to complete your study experience. Practical session at LSBU is specially designed to create scenarios students find in the workplace. Health students for example get to use sophisticated skills laboratories, with life-like hospital wards, simulated patients and a radiography-testing suite with the latest 3-D imaging. London South Bank University’s dedicated Careers Service helps students find work placements and jobs with top blue chip companies, public companies and voluntary organizations. The career cell at London South Bank University help students find suitable full-time and part-time work experience, placements and temporary and vocational work supported by experienced and dedicated advisers and placement officers. London South Bank University graduates have found success in all kinds of industries, from arts and media to nursing, law, finance, and engineering. The courses are based on what the Industry wants The Times University Guide 2016 shows that LSBU are the No. 1 London Modern University for graduate starting salaries, and that they are Top 10 London University for graduate prospects. To find out more about programs at LSBU please Santa Monica Study Abroad Pvt. Ltd authorized representative of LSBU on 0484-4140999 or walk in to your nearest Santa Monica branch. This entry was posted in study in UK on May 4, 2016 by Ronnie Fredrick Thimothy. Singapore is unquestionably one of the most sought after study destination of Asia owing to its excellent educational system. It stands tall as a Global education hub offering world class study programs to International students. Singapore’s competitive education offers international student’s great value for money as it allows one to obtain a recognized international degree in diverse streams ranging from Information technology, engineering, finance, media studies, law to mention a few, without having to travel all the way to USA, UK Or Australia. Is Singapore the right choice for you? Here are top reasons why there can’t be a better one. Singapore is education powerhouse of Asia and the world. Singapore is known to maintain high standards of teaching and learning. Apart from six national universities, many premier foreign universities have set up their campuses in Singapore, imparting quality education at affordable fees. The strong academic collaborations between Singaporean and foreign institutions have contributed significantly in enhancing the overall quality and global credibility of the programs, a reason why Singapore figures prominently in the world education ranking. Affordability without compromising on the quality of education is what makes Singapore stand out as a popular study abroad destination. International students have the option to join world class programs offered by premier institutions in the USA ,UK etc in their Singapore campuses. Being geographically close to India also means economical air fares, cheap telephone calls which brings down your overall expenditure on education significantly. Singapore has one of the most competitive economies of the world which has performed comparatively well under the prevailing economic climate, its global trade and investment continues to provide a solid basis for its economy, which is promising news for number of International students currently pursuing various programs in Singapore. When it comes to infrastructure and connectivity Singapore has few parallels. Singapore is well connected via sea and air. Its state of the art transportation system is rated as the best in the world. With excellent telephone and internet penetration you are never too far from your loved ones. Though of comparatively small size, Singapore is known as a global city with truly world class infrastructure. Its towering skylines, built-up environment and beautiful landscapes are truly mesmerizing The city’s-never ending buzz and energy with never-fading fun and festivities makes Singapore a spell bounding destination that is sure to keep everyone enchanted. The ‘Industrial Attachments’ or internships programs which is normally of 5-6 months duration are great opportunities to gain some valuable work experience and makes one entitled to a stipend This period though of short nature would go a long way in developing the basic skills necessary and at the same time would make one get acclimatized to the work environment of Singapore. Though geographically a small country, Singapore is home to a large number of Multinational Corporation offering excellent job opportunities to bright international students. Singapore with its strong Manufacturing, Construction, Tourism, Retail and Healthcare industry is expected perform comparatively well in the coming years which is positive news for International students. 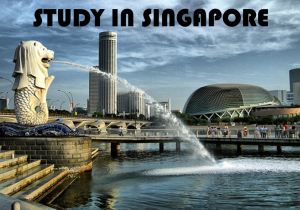 Looking to study in Singapore, look no further Santa Monica Study Abroad Pvt. Ltd with over 15 years experience in facilitating overseas admissions in Singapore is here to help pick your perfect Singapore University / college that meet your unique preferences. Feel free to visit your nearest office of Santa Monica Study Abroad Pvt. Ltd. or reach us on 0484-4140999. This entry was posted in Study in Singapore on May 2, 2016 by Ronnie Fredrick Thimothy.